Tomorrow's Leaders are the individuals in your organisation blessed with that indefinable X factor for success - the ones you know are destined for senior executive roles in your organisation, the ones whose names always come up when succession planning is discussed. In other words, Tomorrow's Leader is an insightful visionary who consults broadly and decides firmly. Ethical but not rigid, Tomorrow's Leader can spot and harness talent and opportunity. A creative and resourceful individual, trustworthy and emotionally intelligent, Tomorrow's Leader is also a tactician with impeccable timing and the uncanny ability to just make things work. 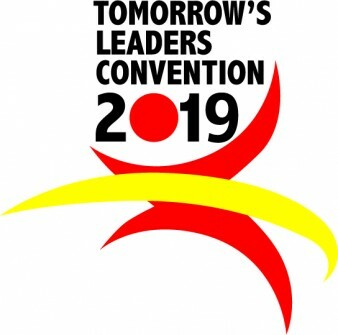 Because we know that leaders are cultivated and mentored, Tomorrow's Leaders Convention's Alumni programme allows a new generation of Tomorrow's Leaders to be identified. These candidates are ambitious, driven, outstanding, recently graduated under 30s who may still be finding their way or moving up the leadership ladder. Please note that nomination does not include automatic participation in the convention. All nominations will be checked by the Tomorrow's Leaders team to ensure that they are valid. Once this process is completed the official invitation will be issued within 7 working days. All accepted candidates will be entered into the Meetings Direct business networking programme, which aims to match you one-on-one with key players in sectors in which you may be interested. This platform is designed to open up business opportunities. Important Notice: By submitting your information above, you acknowledge that you have reviewed and agreed to Cape Media Corporation's terms, and agree to receive updates regarding publications and products offered by Cape Media Corporation and any Partners and/or third parties. This is subject to Terms & Conditions. If we are to prosper as a nation on all levels, the leaders of tomorrow need to be identified and developed today.